It’s so damn cold outside! 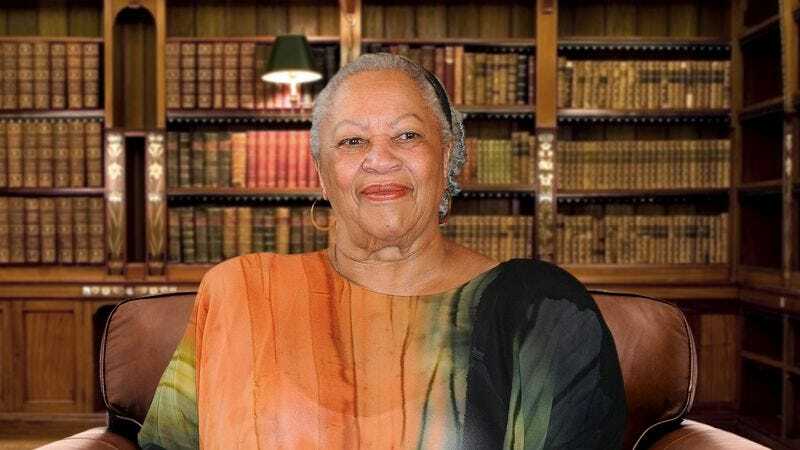 We need to bundle Toni Morrison in shawls to keep her warm. Yes, wrap her up. She’s a national treasure, and we must look after her. She gave us Beloved. The least you can do is give her some shawls. By keeping her warm, you are making a small contribution to American letters. Toni is 85. The more shawls, the better. The icy wind, it pierces to her core. Cocoon her in fabrics. She’s the only living American with a Nobel Prize in literature. It is our duty to keep her nice and toasty through the long winter months. Oh, no! You’ve given her too many shawls, and she’s toppled over. Remove one of the shawls and prop this luminary of the written word back up again. Ah, that’s better. Now, lastly, give her a nice hat; she’s taking her lunch soon and wants to look her best. Simply beautiful. You have done important work, sheltering this preeminent literary voice from the ravages of winter, and you should take pride in knowing that.